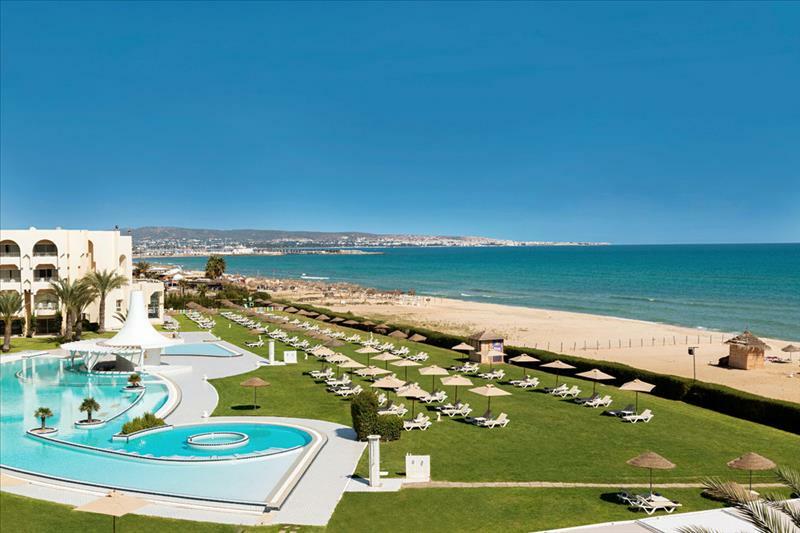 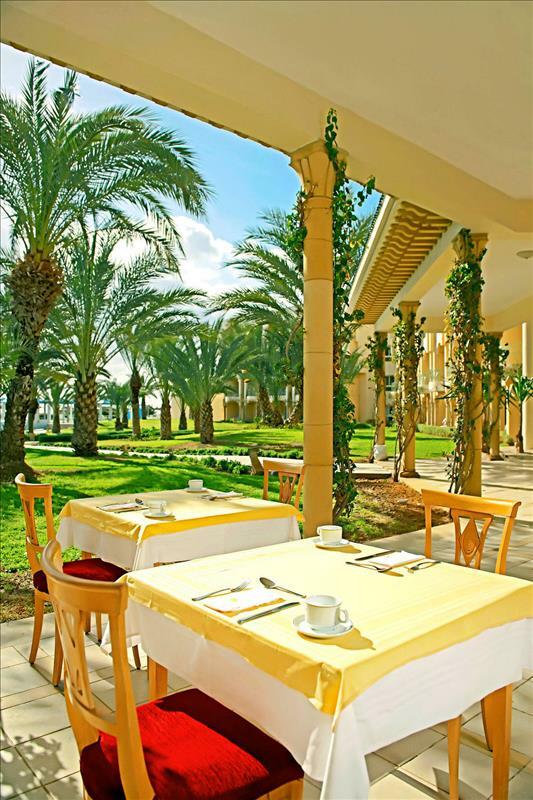 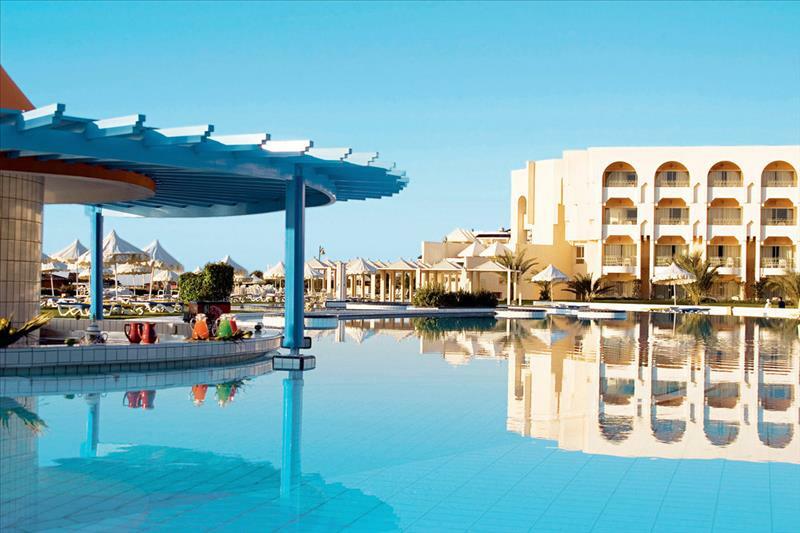 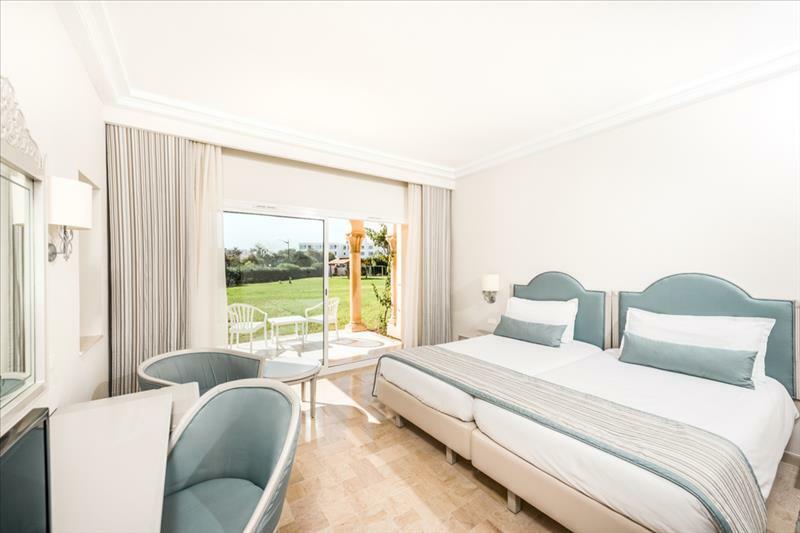 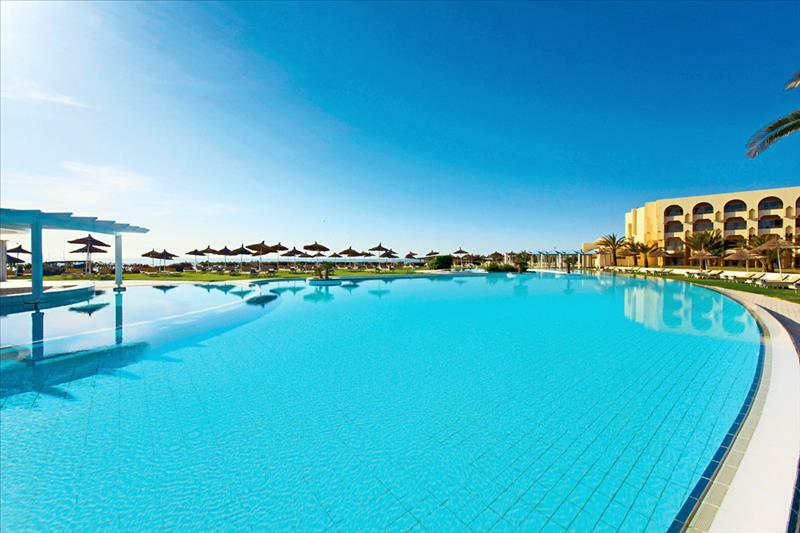 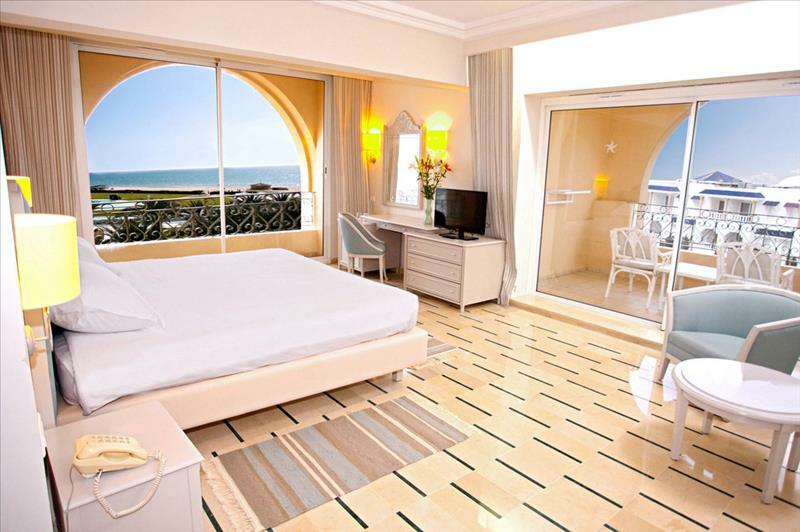 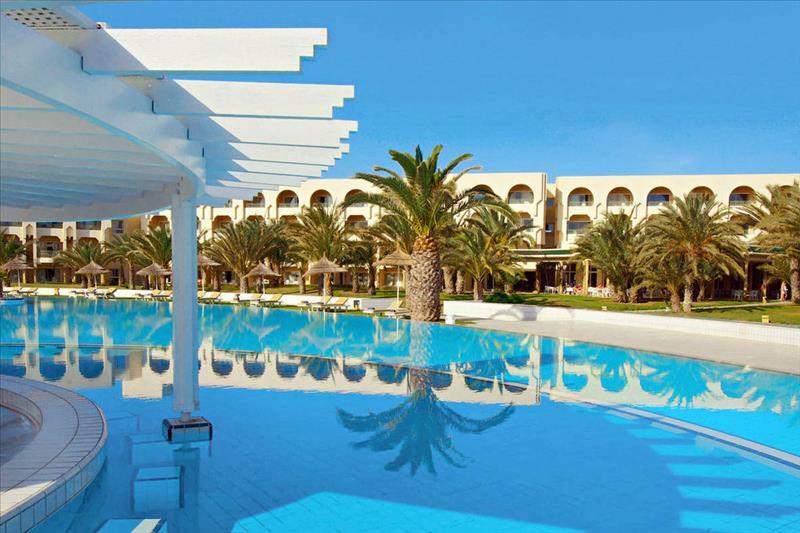 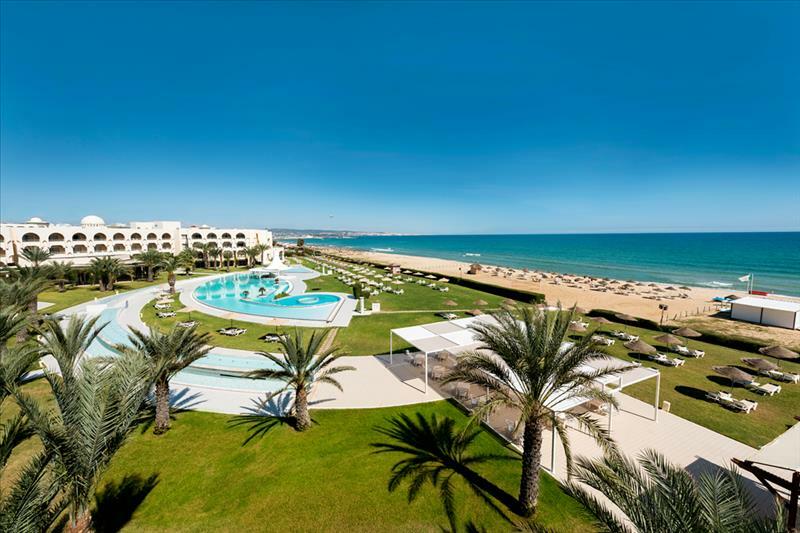 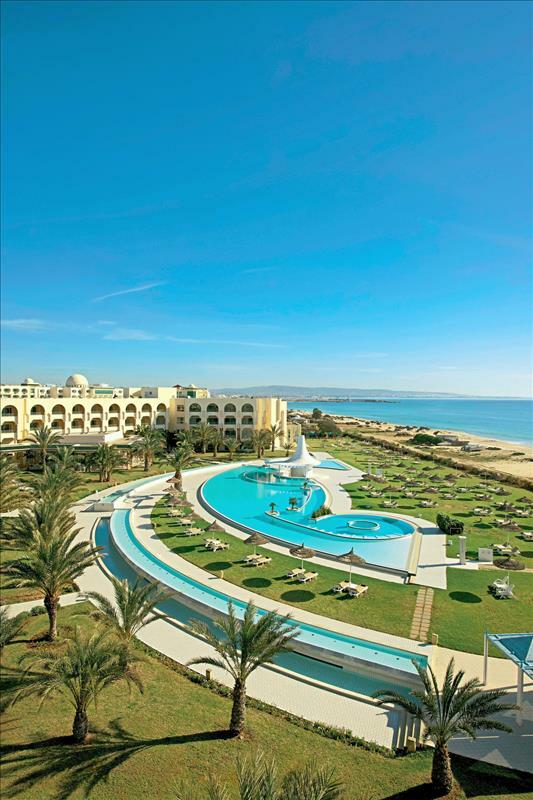 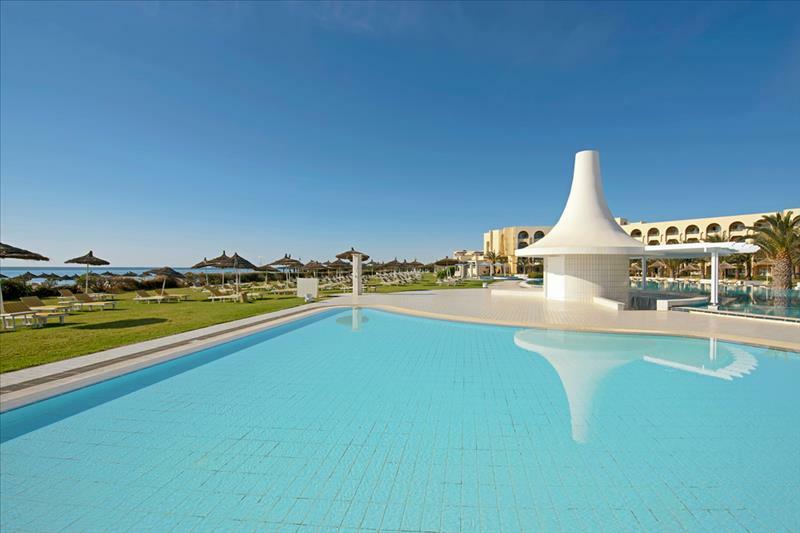 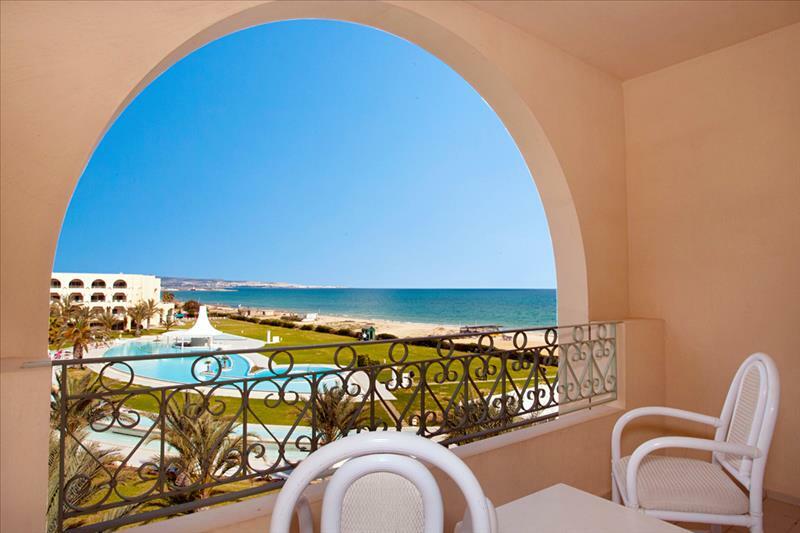 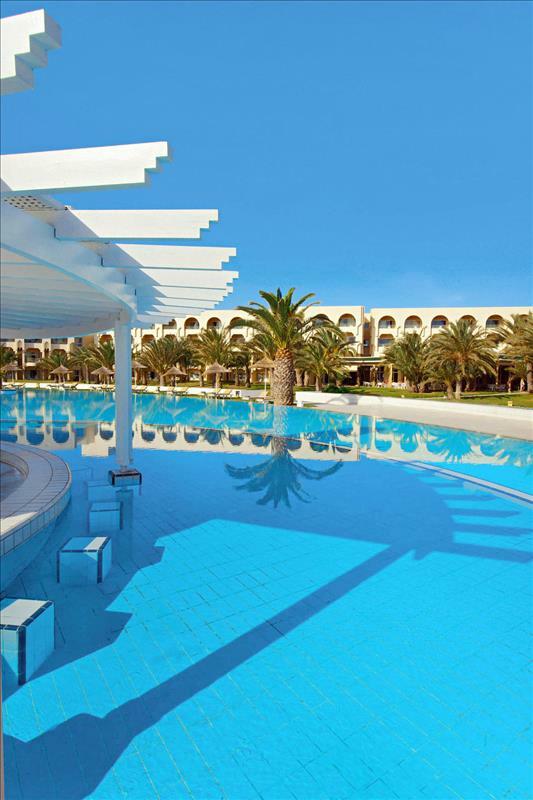 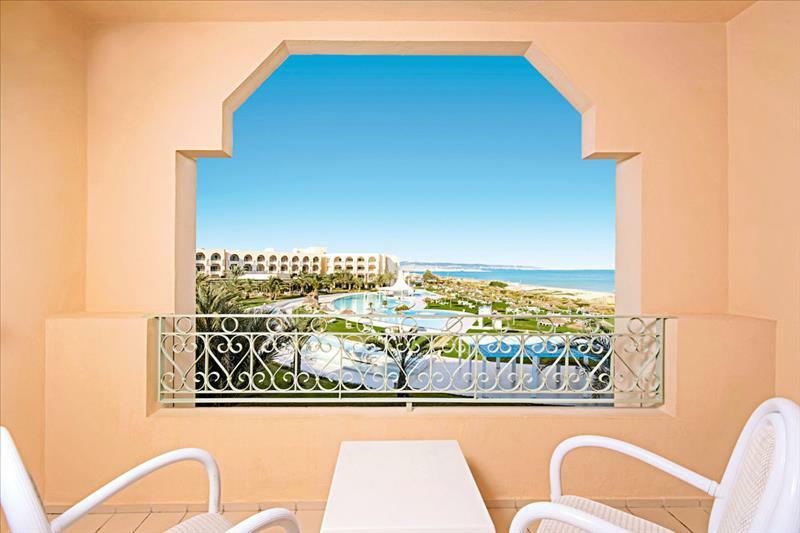 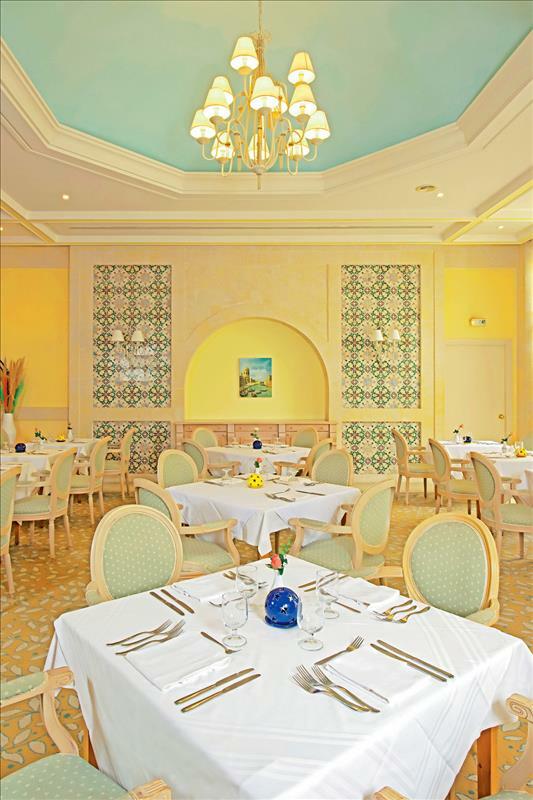 This hotel is situated in Hammamet-Yasmine, directly on the long, sandy beach and at the beginning of the elegant beach promenade. 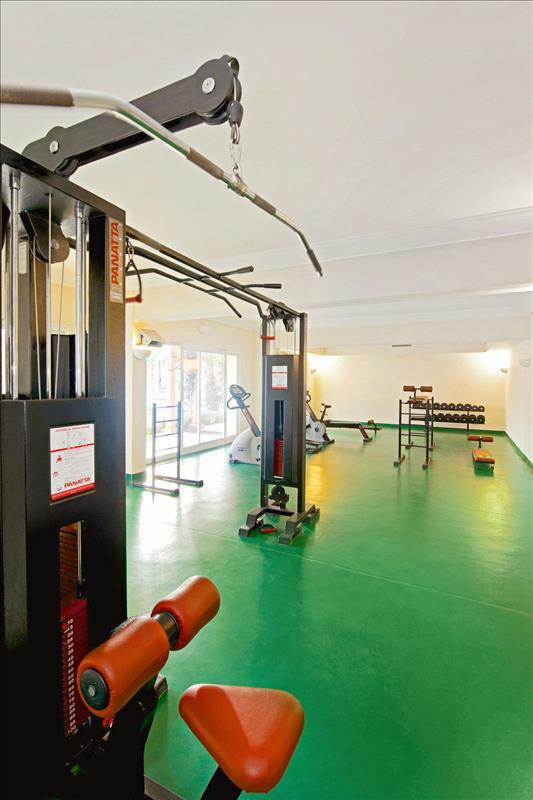 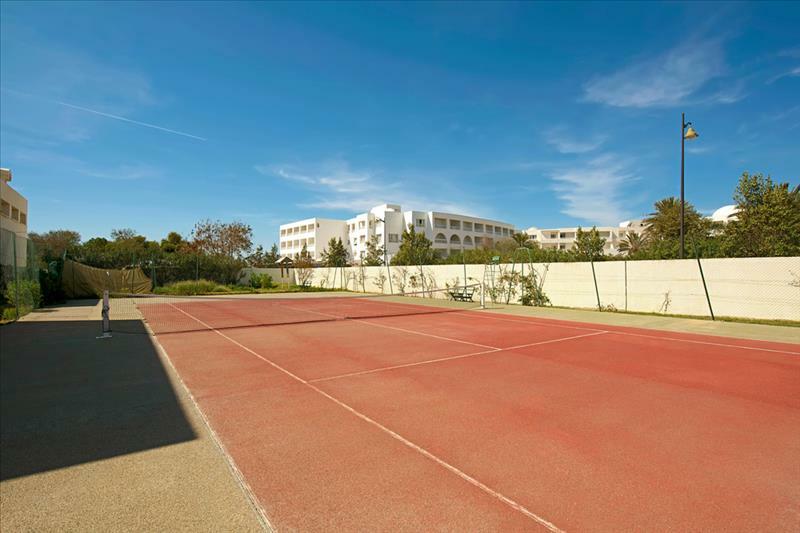 It is approximately 12 km from the town centre and enjoys good transport connections. 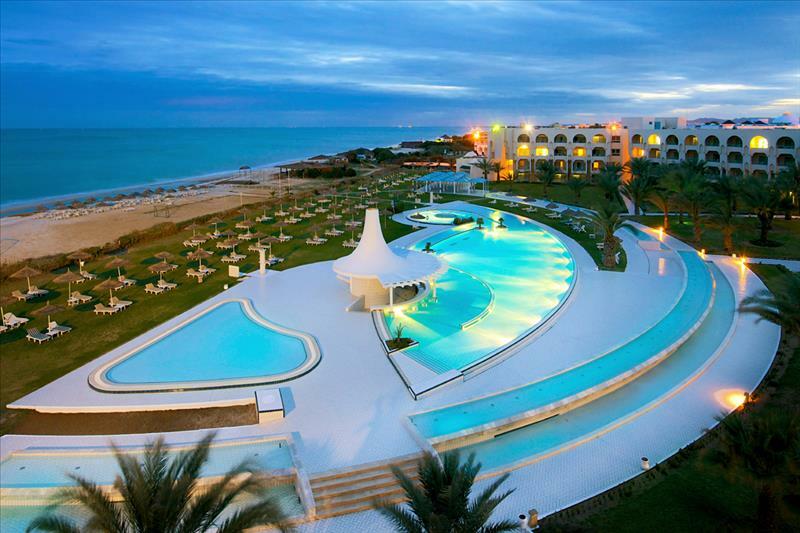 The airports of Tunis, Monastir and Djerba are 70, 100 and 450 km away respectively. 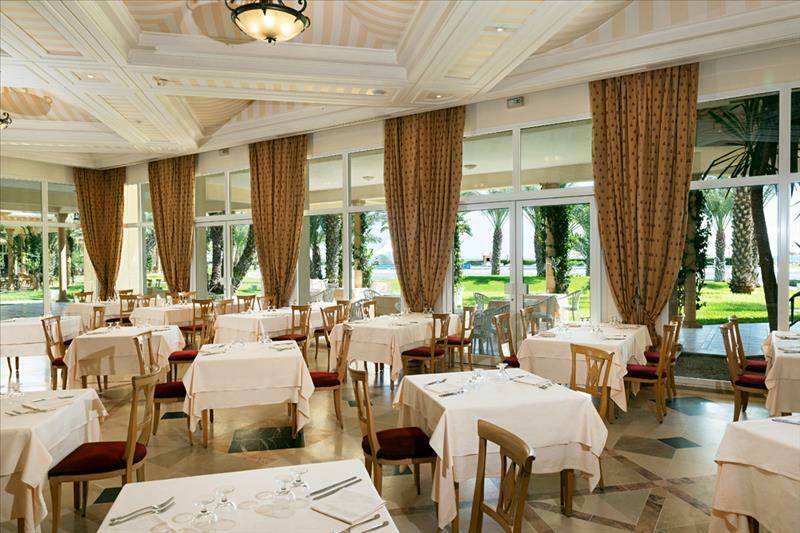 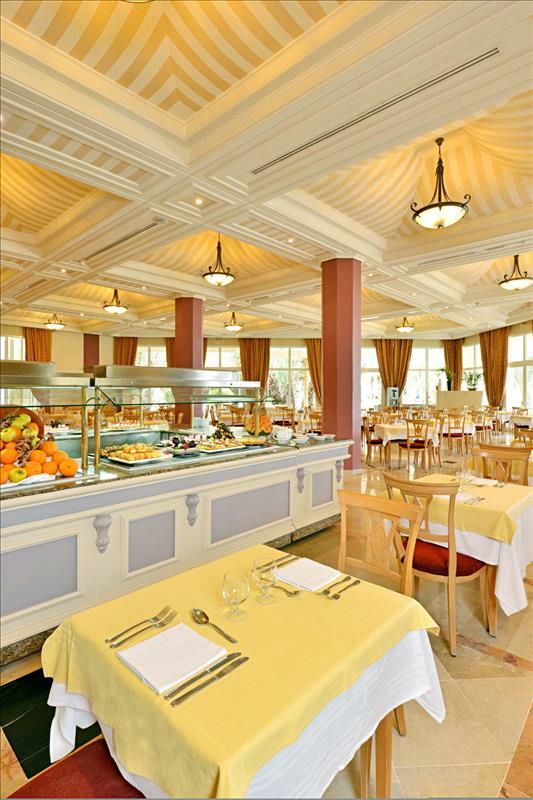 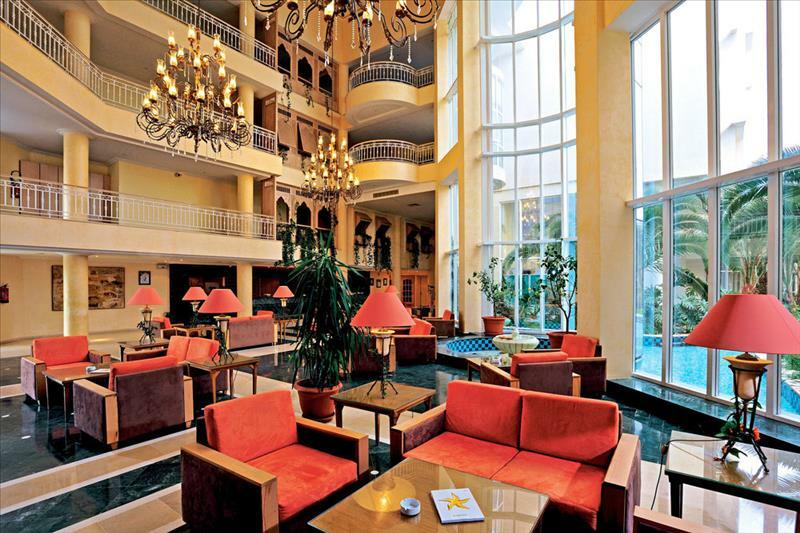 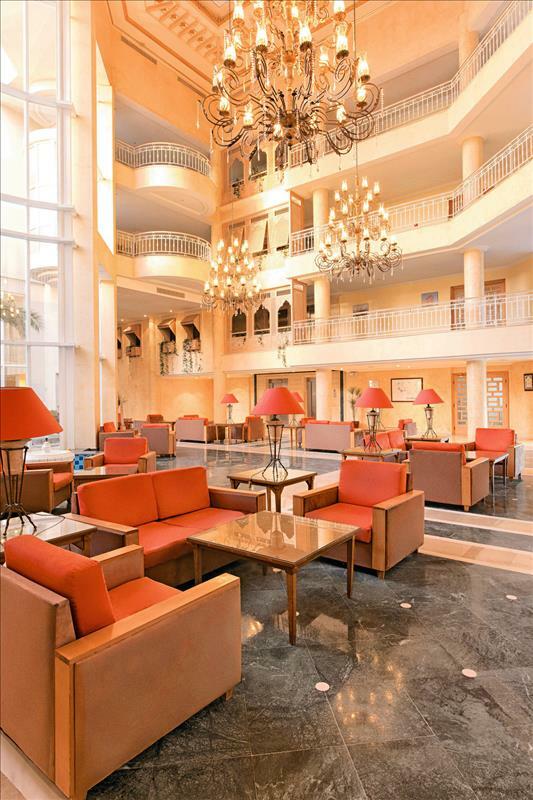 This elegant hotel opened in 2001 and comprises 256 rooms spread over 4 floors. 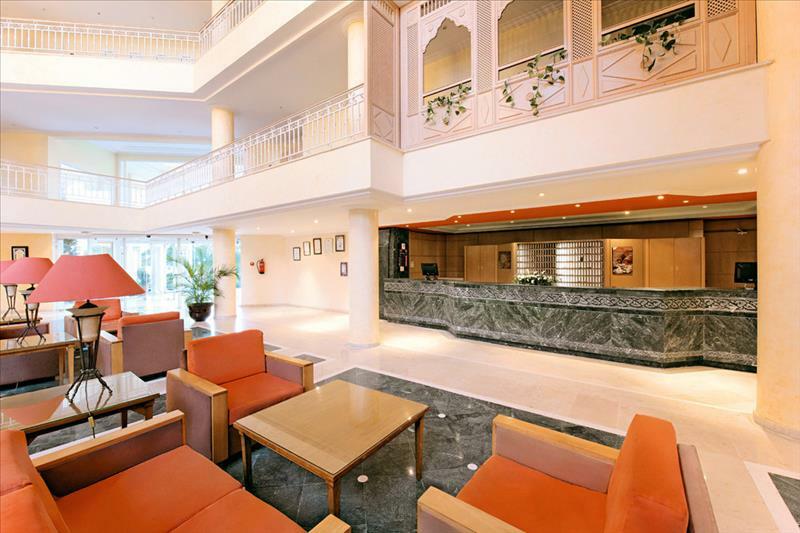 The hotel is fully air-conditioned and features a lobby, currency exchange facilities, lift access and a shopping centre. 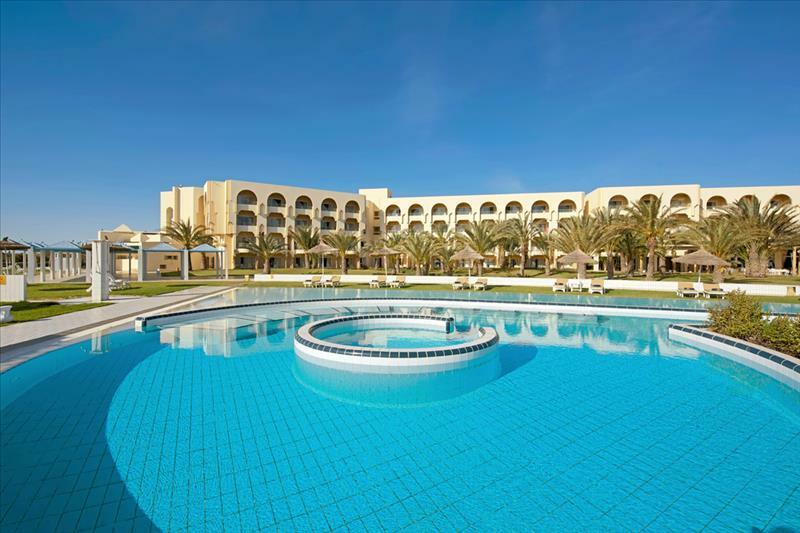 Other facilities include an à la carte restaurant with a no smoking area, an Arabic café, various bars, a disco, games and TV rooms, conference facilities and Internet access. 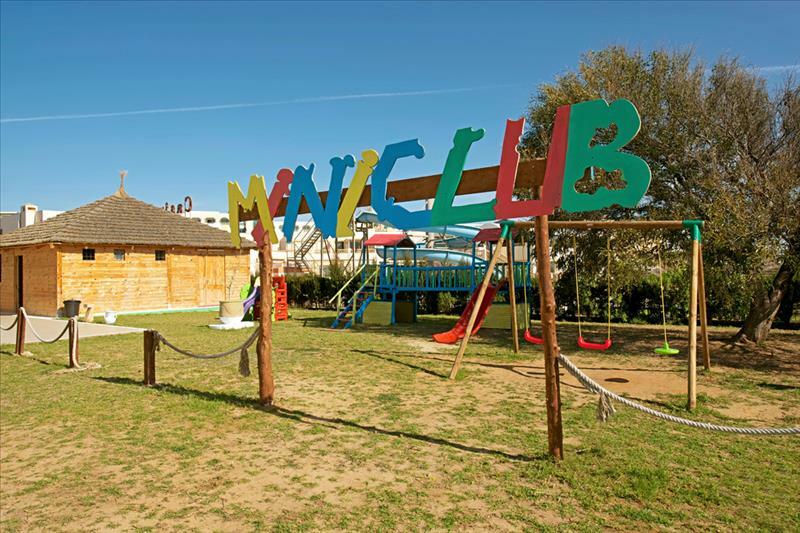 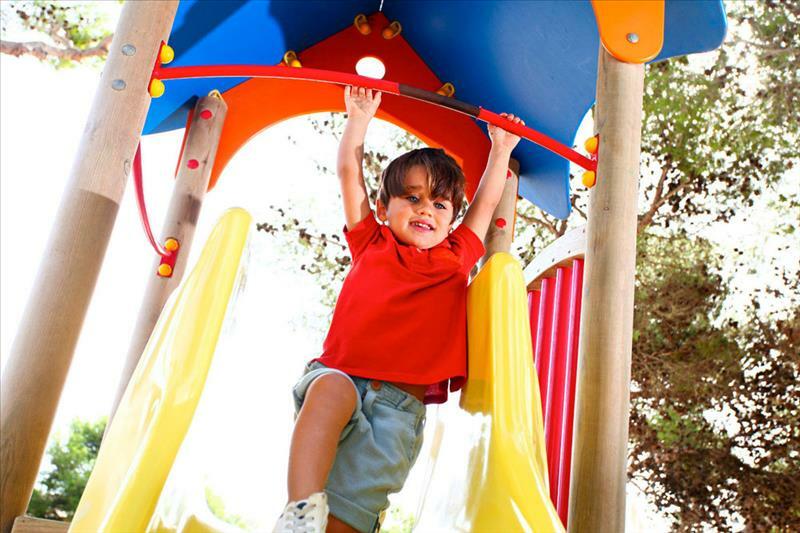 Guests arriving by car can leave their vehicles in the hotel’s private car park and younger guests can enjoy the kids’ club and play area. 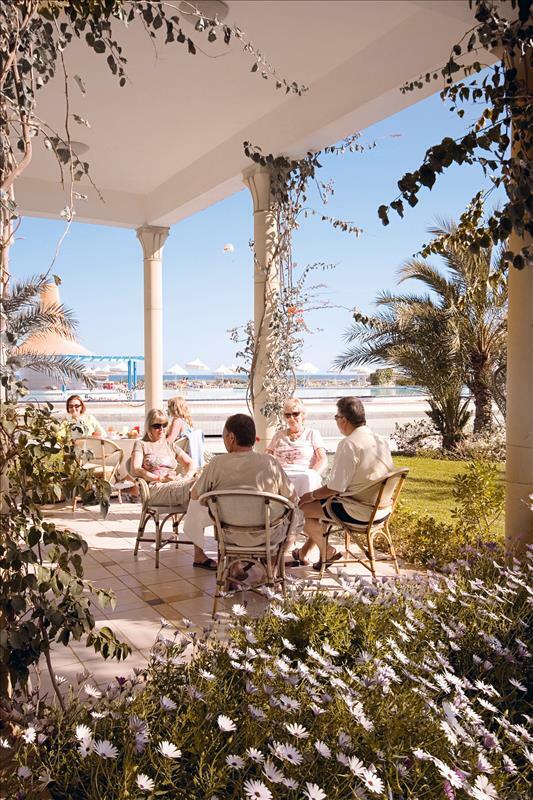 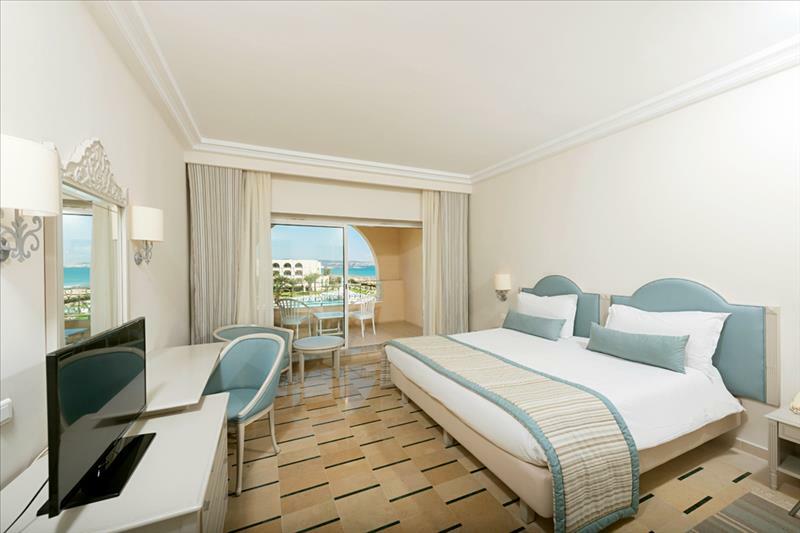 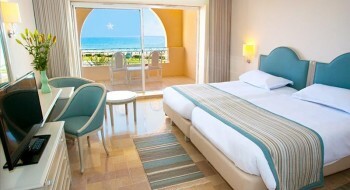 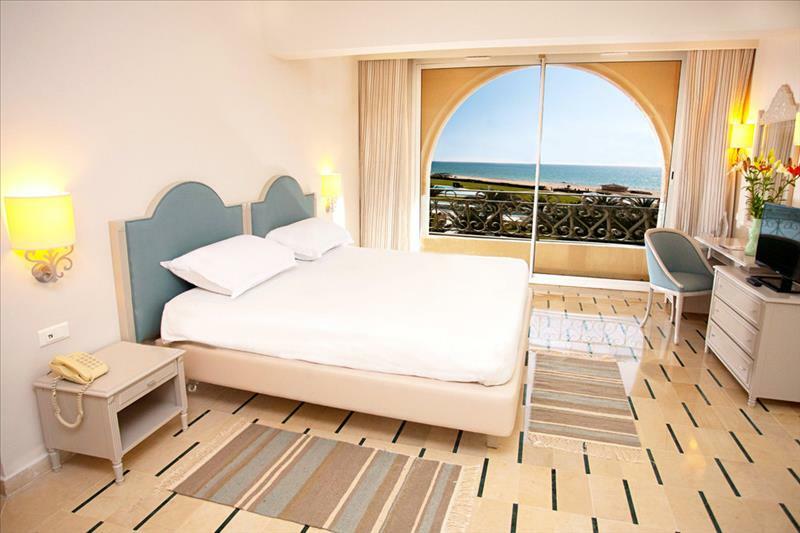 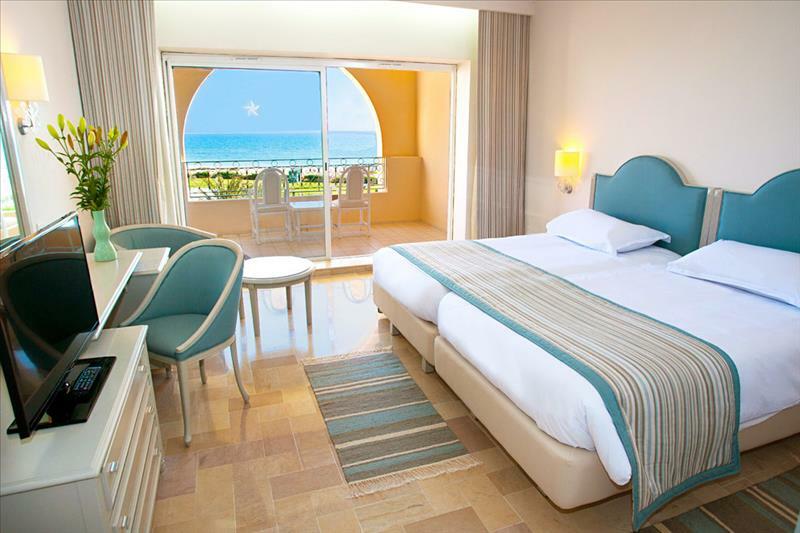 All 256 rooms feature a terrace/balcony with a sea or garden view. 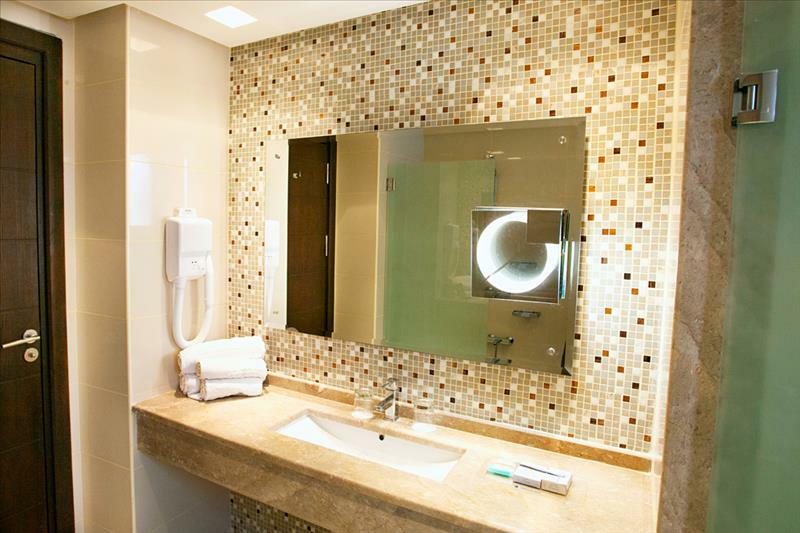 Guest rooms are en suite with a shower and hairdryer and also include a direct dial telephone, satellite TV, a minibar and a room safe. 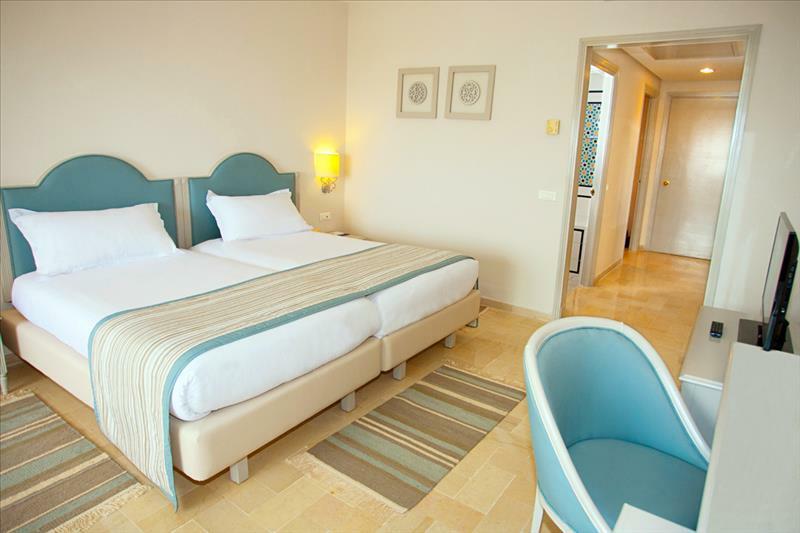 The rooms are comfortable, tastefully decorated and fully air-conditioned. 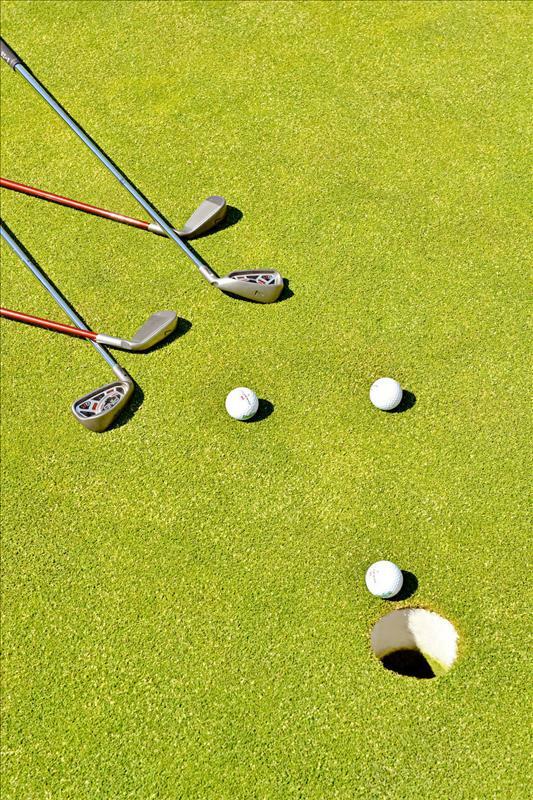 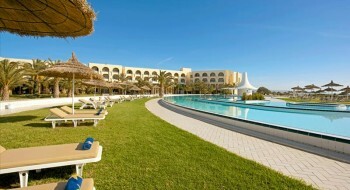 The hotel has well-kept grounds with an outdoor swimming pool and a children's pool. 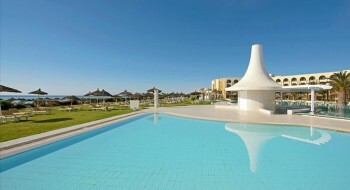 There is a sun terrace with sun loungers (free for all guests, extra charge for cushions) and parasols. 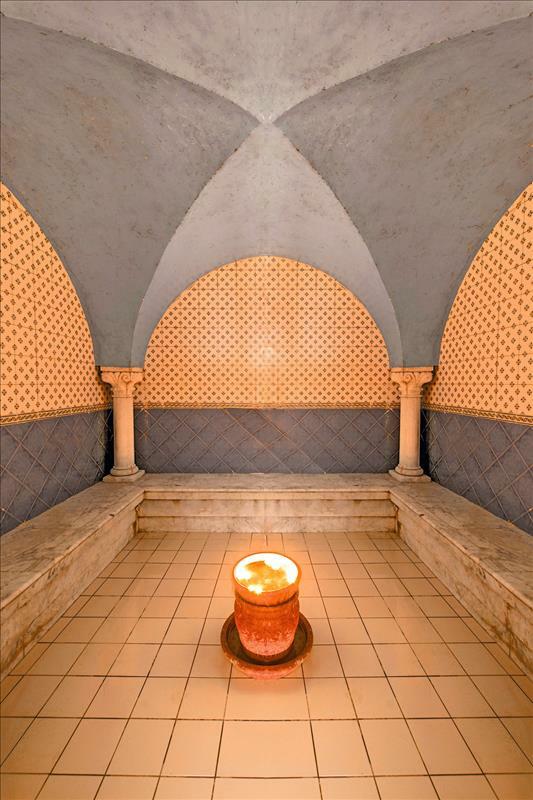 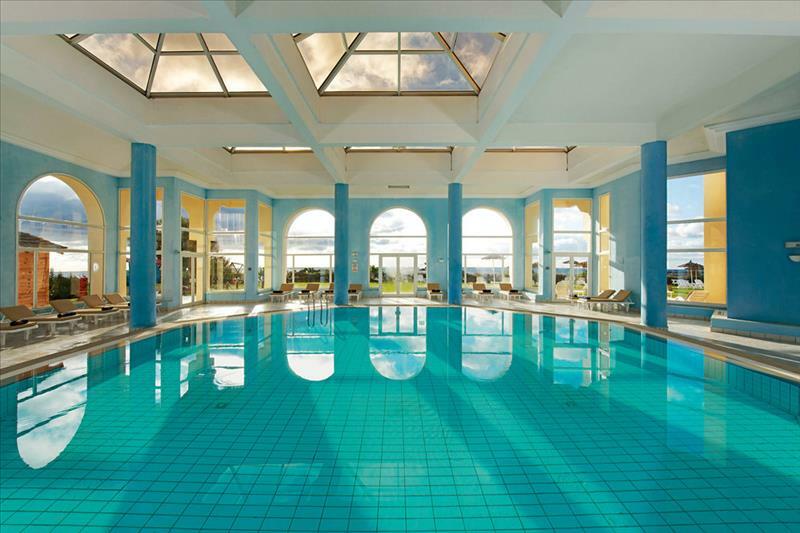 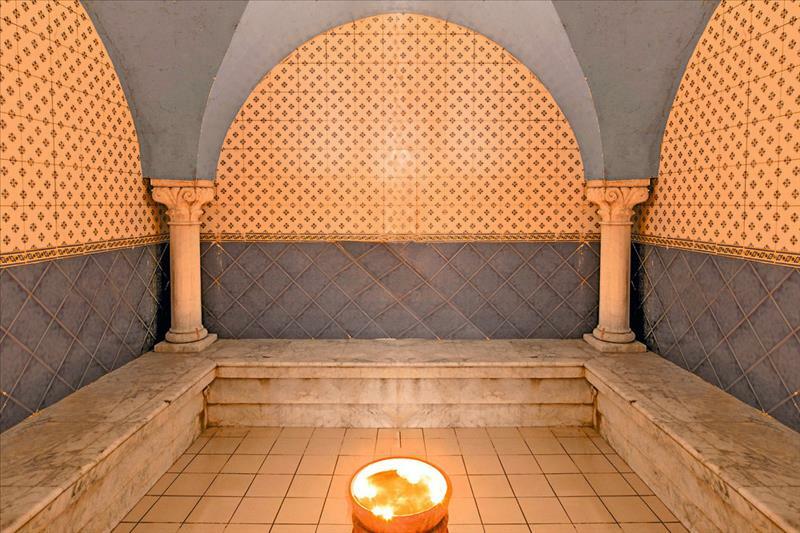 There is also an indoor pool and a spa area with a Jacuzzi, a sauna and massage treatments. 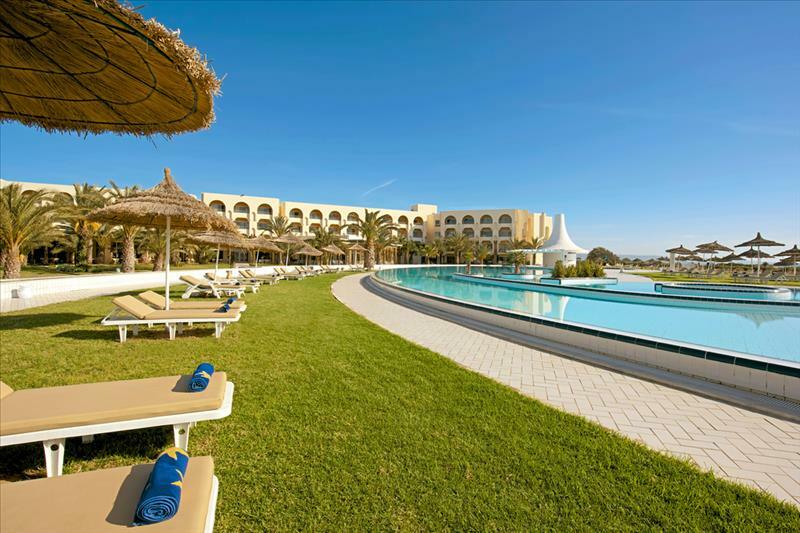 Bike hire is available. 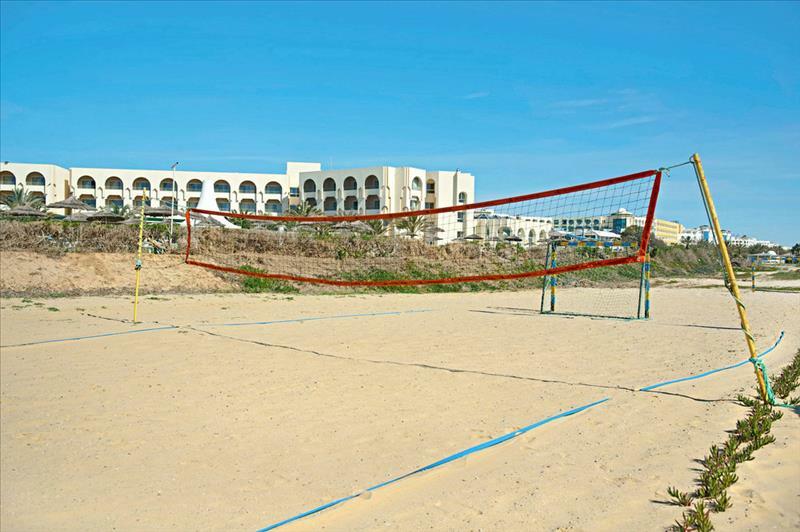 A tennis court, table tennis table, beach volleyball court and water sports facilities (wind surfing, pedal boating, etc.) 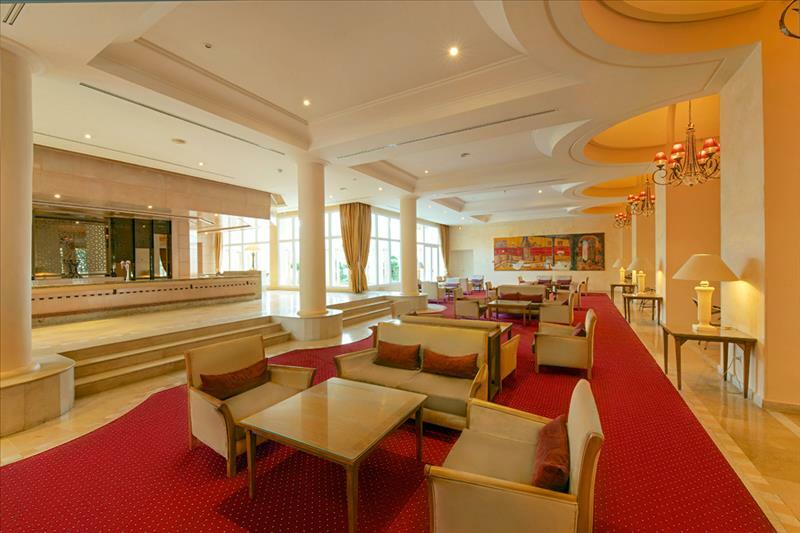 can all be found near the hotel. 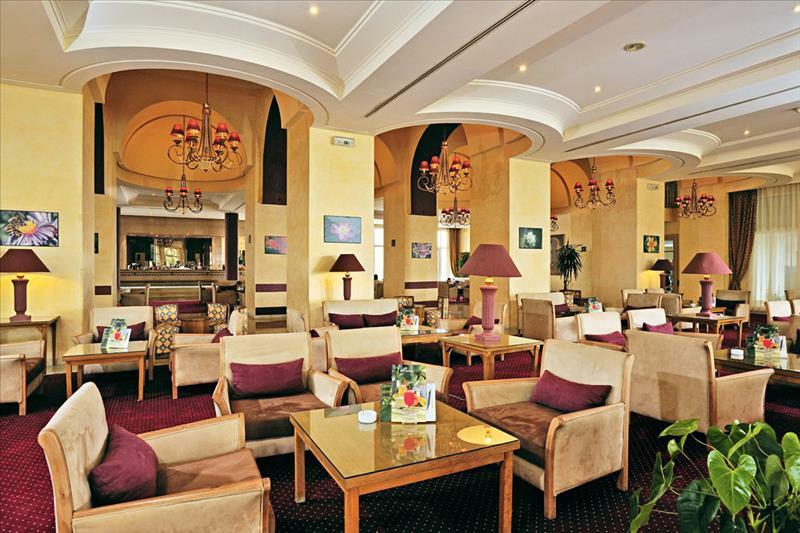 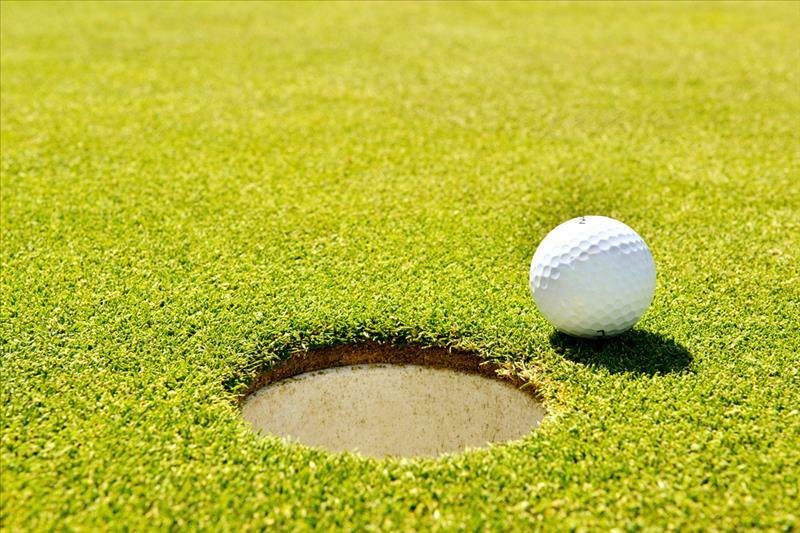 Pool tables and darts boards are available in the hotel and there is a varied entertainment programme every evening featuring the entertainment team or professional performers. 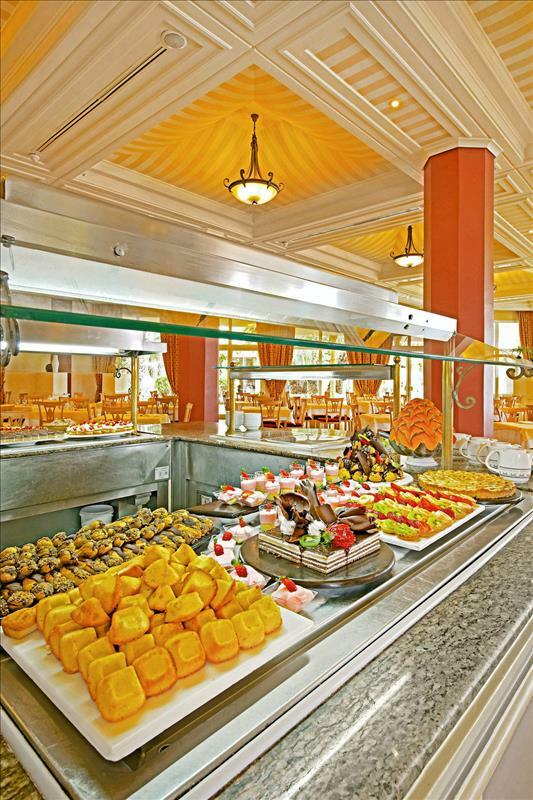 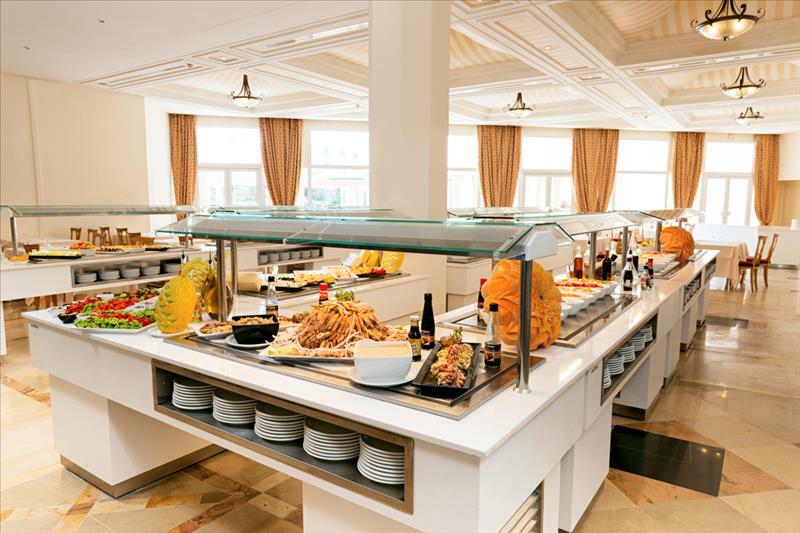 A buffet is available at breakfast and for midday and evening meals. 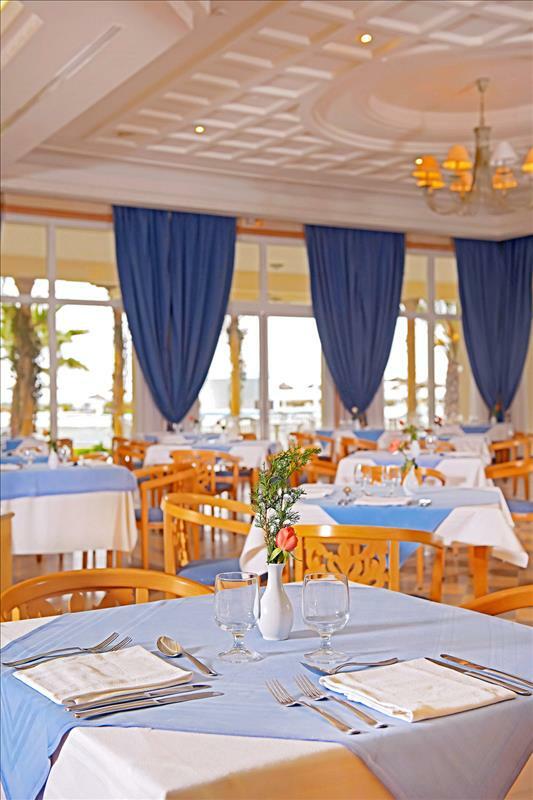 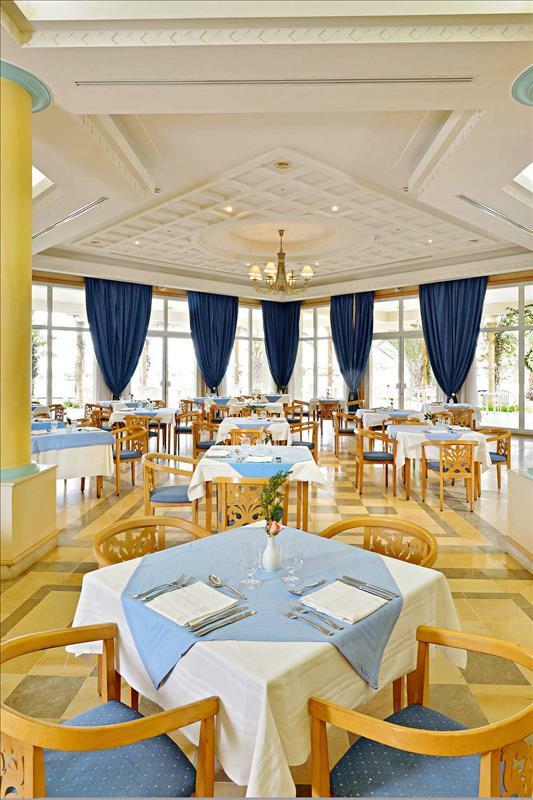 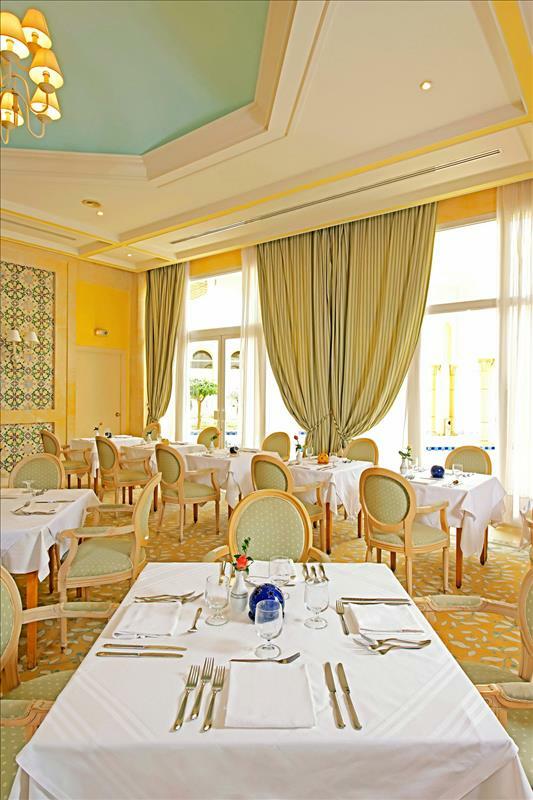 Midday and evening meals may also be selected from an à la carte menu.